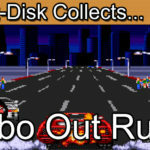 Insert Disk collects Super Hang-On for the Sega Mega Drive / Sega Genesis. 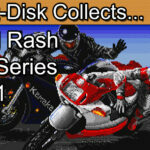 Today’s retro game review is Super Hang-On for the Sega Mega Drive / Sega Genesis. This retro gaming classic is 100% Sega retro gaming gold. 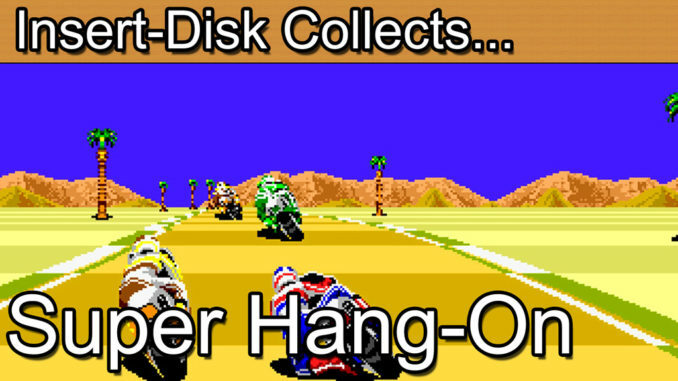 Super Hang-On was a critical success in the 1980’s arcade and it became one of the early go to games on the Sega Mega Drive and Sega Genesis. 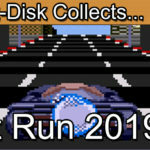 Race your way across the world in this thrilling retro game classic in near arcade perfect delivery on one of the original 16-bit racing games from Sega. It was great in the 80’s arcade and its just as fun to play today. Greetings collectors and welcome to today’s retro game review. I thought that I’d revisit a classic Sega title today and they don’t come much more classic than Super Hang-On for the Sega Mega Drive and Genesis. Starting its life in the arcade back in 1987 Super Hang-On became a staple of 80’s gaming. This was a golden age for Sega with various hits such as Outrun, Golden Axe, Space Harrier, Altered Beast and all the rest. As with these other titles Sega’s Super Hang-On received it’s very own 16-bit Sega Mega Drive and Genesis release in 1989. Finally we could all play to our heart’s content without having to stump up the 20p to play. Today’s episode may be a little shorter than usual and that’s because the topic of Super Hang-On has been so well told so many times over the years. The premise is incredibly straight forward. Get on you motorbike and blast it across the region of your choice in an attempt to win the race. You will have some options as to the difficulty of your race. Africa beginner with 6 stages, Asia Junior with 10 stages, The Americas Senior with 14 stages or Europe with an expert 18 stages. You’ll also have the option of selecting from 4 different soundtracks. Fundamentally the game play is the same for each just the complexity of the course change. The control system is very basic as you might expect for an arcade conversion. Buttons for brake, accelerate and a final button for a boost. Once at top speed hold down the C button for that extra bonus speed and really watch the pixels fly by. The courses are split in to several stages that follow on from each other, no loading times in-between, just a satisfying blend in to the next stage after the check point. It’s these checkpoints that play a key role in the game. There are no enemies as such in the game as the other riders will not actively disrupt you. The timer is the real enemy, as it counts down you must reach the next checkpoint to be awarded more time to get to the next check point. It makes for a very tense atmosphere if you know that you’ve taken time sapping hit on any of the stages. This makes the turbo even more important. To claw back time you will need to hit it hard on the straights and even on the corners if you dare. Once you’re in the groove it’s incredibly satisfying. You’ll need lightning fast reactions but with some practice you will get there. 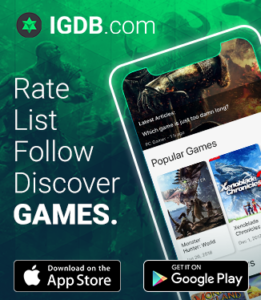 It’s simple which means that it’s a game instantly accessible to the masses. In terms of a conversion I believe that Sega really did handle this one with care. It does have slightly shortened tracks but the feel of the original game is still very strongly felt in here so overall this was a job very well done. You’ll instantly notice that the sprites are really chunky and arcade like and the scrolling effect is spot on. Overall what’s here all builds to a very solid experience. For those wanting a new lease of life with the existing formula its worth exploring what’s known as Original Mode. Here you will have to race rivals to earn cash and pay to upgrade your bike. It’s a welcome extension of the key game formula. So how about the physical version of this classic? Well you’ll be pleased to know that this title was mass produced. Sega knew it would sell well and even bundled it with the Mega Drive in certain stores. The stand-alone edition comes in a standard black Sega case with matching manual and cartridge. Nothing too much to write home about save for the fact that it’s perhaps one of the most instantly recognisable games of the era. With Super Hang-On being very much part of Sega’s emphasis that they were the ones bringing the arcade in to the home its no wonder that Super Hang-On also made its way in to various other physical forms. For the Sega Mega Drive and Genesis it features in the Mega Games 1 compilation alongside Columns and World Cup Italia ’90. Some more classics for another day I feel. Just as a quick note on this one you actually get all 3 manuals bundled in to the case making this a very sturdy package. I’m guessing that this was Sega’s way of offloading some surplus stock. Never the less it’s a nice little package. For the stand-alone version look to pay peanuts for this one mint in box. Its incredibly common. For Mega Games 1 you’re also looking at bargain basement prices. It was cheap then and its cheap now. So if you are looking to get in to Sega’s 16-bit console this is an excellent place to start. Some years ago I bought out a mid-sized retro games store and I literally get dozens of these compilation games regularly through my stock. As for Super Hang-On itself for me this is a no brainer for any classic Sega fan. It’s fast it’s fun and harks back to an age when we were content with simple but well-made games. It’s easily accessible to all but will really test the most ardent of racing fans if you’re prepared to play the expert modes. Overall Super Hang-On is a very solid racing game that is always worth coming back to for the fans and those looking to see a classic best in class arcade conversion. Is Hang-On still a classic game today? Well yes, its super.